You are allowed to drive in the UK on your foreign licence for up to 12 months. 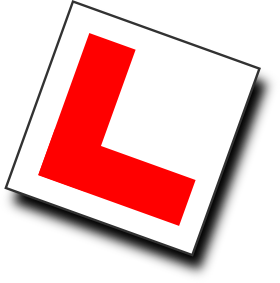 If you wish to continue driving, you will need to apply for a UK provisional licence and pass both parts of the UK Driving Test. The first part is a multiple choice Theory test, which includes identifying potential and developing hazards on short films. Applying for your Provisional Licence, will not invalidate your non EU Licence, so you can continue to drive unaccompanied. I can help you prepare for this, during a normal driving lesson and you can take a practice test, via the link on my web site. 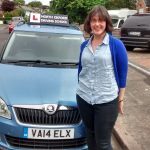 Once you have passed the Theory test and have been resident in the UK for 120 consecutive days, you can apply for your Practical Driving Test. 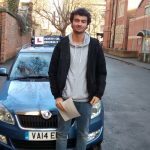 The majority of my pupils, who have had extensive driving experience abroad, only need a few hours of lessons to reach the standard required to pass the test. 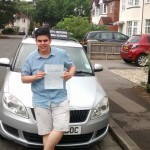 I will assess your current level of driving on the first lesson and advise you on when to book your test. If you will be staying in the UK for less than a year and would like to practice driving on the left and roundabouts etc. then get in touch. I can conduct lessons in your own car, if you drive an automatic, or my car if you prefer. You can book as many or as few lessons as you feel you need, to build your confidence.